Mammoth Energy Group Inc. (PINKSHEETS: MMTE), a lithium and alternative energy mining company, announced today that its wholly owned subsidiary Compania Lithium Investments Limitada of Chile has signed a Letter of Intent to acquire six concessions for a total of 2471 acres (1000 hectares) of lithium concessions located in the Salar de laco in northeast Chile. "The Salar de laco is approximately 10 miles from the border of Argentina and approximately fifty miles away from the Salar de Atacama, Chile's largest mined lithium reserve," said William Lieberman, President of Mammoth Energy Group. He added, "With the Salar de laco and Salar de Pujsa LOI's currently in place, we are continuing our acquisition hunt to become one of the largest international holders of Lithium concessions in Chile." The Salar de laco has similar geology to the Salar de Atacama where lithium concentrations average between 500 to 750 ppm lithium. The company intends to begin pursuing Canadian National Institute 43-101 compliant geographical reports on all of its announced acquisitions and current projects in negotiation. 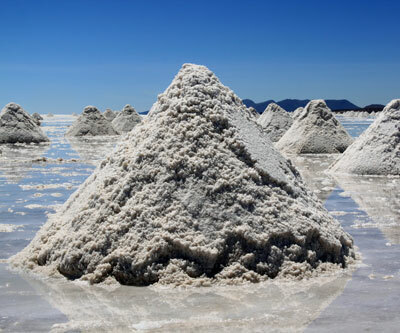 Lieberman added, "Past geological reports have been done on the Salar de laco and the company is currently studying the concentration levels, but in past testing lithium concentration levels have averaged between 9-20 mg/l of lithium." Mammoth Energy Group's Compania Lithium Investments Limitada has already acquired an initial thirteen lithium concessions for a total of 8649 acres (3500 Hectares) in the southern section of the Salar de Maricunga basin located in the province of Copiapo, Chile. The company has signed letters of intent to acquire an addtional 7165 acres (2900 hectares) of lithium reserves. The company is currently in acquisition mode and Compania Lithium Investments Limitada was created to acquire, develop and explore lithium and mining assets in Chile on behalf of Mammoth Energy Group Inc.
Mammoth Energy Group Inc. is focused on acquiring, developing and operating strategic mining energy reserves in locations throughout the world. With an ever changing shift to alternative energy and fuels Mammoth Energy Group will be prepared to be a leading energy supplier and operator. Mammoth Energy's goal is to become an important partner as the world's energy paradigm begins to change throughout the next decade and beyond. via Mammoth Energy Group Continues to Acquire Chilean Lithium Assets.